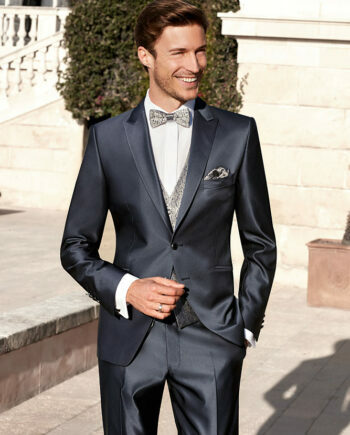 Elegant blue 1-button wedding suit in a festive jacquard pattern. 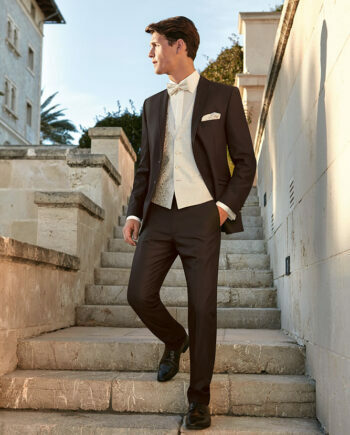 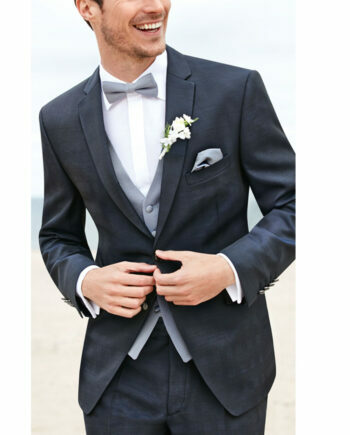 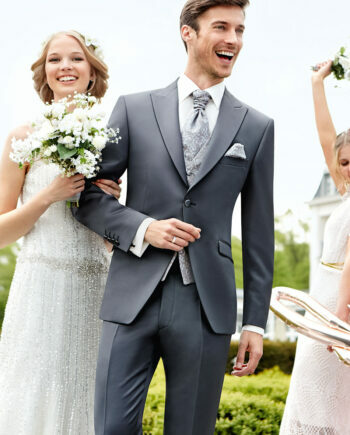 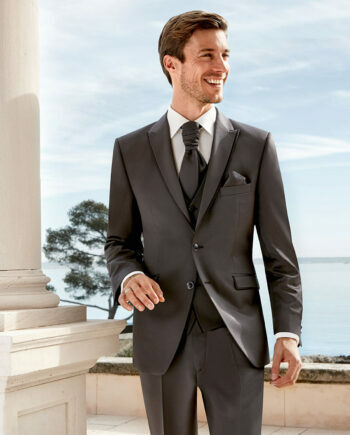 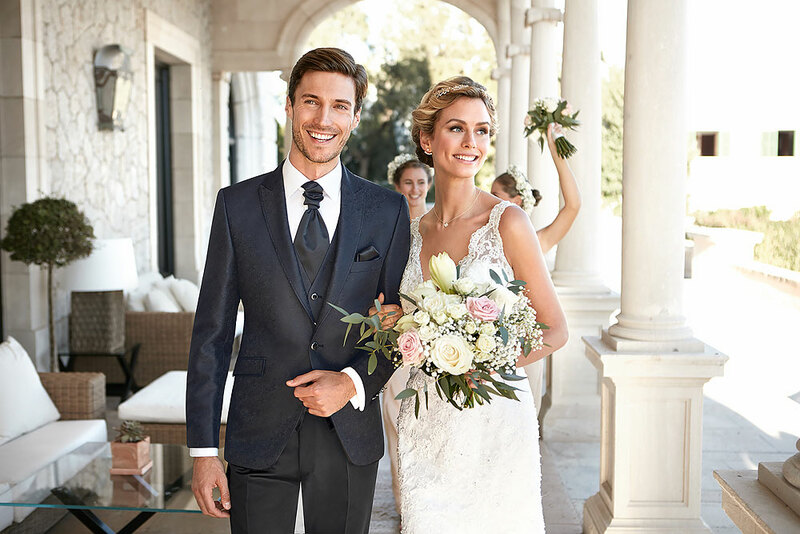 The black trousers of this wedding suit and the neckerchief round off this outfit perfectly. 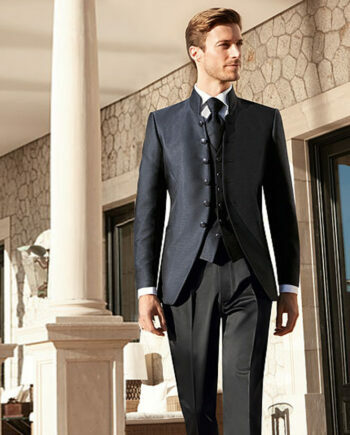 It is combined with a white standard collar shirt and black or blue lace-up shoes.